Today, I got to meet the inventor and entrepreneur behind IC3D, a Central Ohio manufacturer of 3D printers and filament for 3D printers. Michael Cao, CEO/Founder, has a great story to go with his cutting edge technology too. 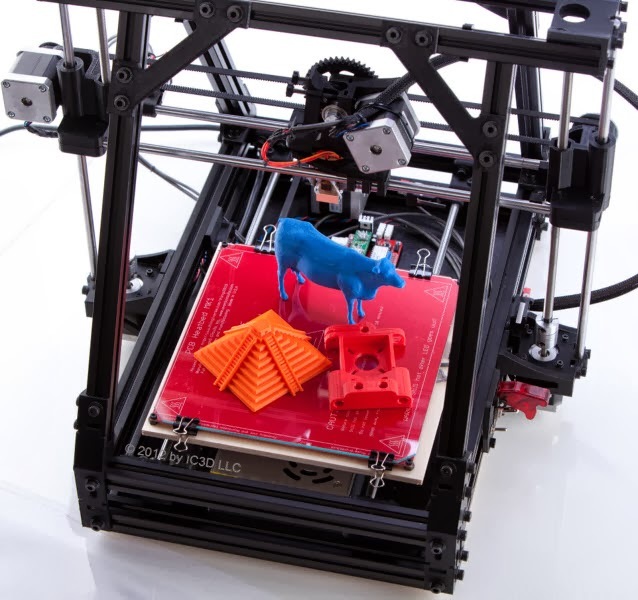 A Columbus Dispatch article late Summer sparked an idea how Licking County can more boldly go into the 3D printing world as a way to inspire the next generation of people who make things. The Port Authority is pairing up a trio of 3D printers with partners with the goal of sparking a greater interest in STEM-focused manufacturing careers. C-TEC is our place to train the next generation and add in the technical skills. Our science museum, The Works, provides the venue to reach families and local industry. A 3D printer made in Ohio by a Central Ohio inventor provides the inspiration. Turns out, Cao has the same goals. Look for him to visit Licking County soon to meet with more industry, community leaders, and students. Inspiring.